Yesterday and today is definitely one of the highlights of this trip. Malacca wasn’t originally in our itinerary, but with the changes made with Monday’s Merdeka celebrations, we lobbied to make a daytrip to Malacca instead. We were so glad that the Tourism Malaysia office in Kuala Lumpur granted our request. Finally, Malacca! Malacca is just a 2-hour drive from KL, making it a great destination for a daytrip from the capital city. Like Georgetown in Penang, Malacca was granted its UNESCO World Heritage status last year. 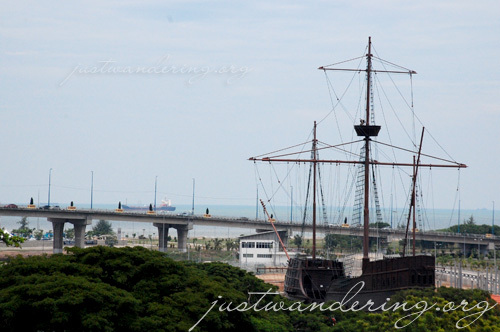 A more detailed post on Malacca will follow, but I’ll say this now: I’m definitely going back! 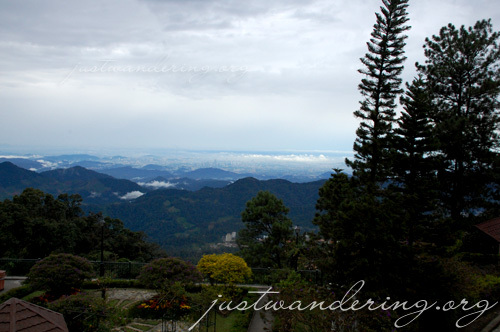 Genting Highlands, on the otherhand, is just an hour away from Kuala Lumpur. It is about 1,800 meters above sea level, and is accessible by cars, buses and the Genting Skyway — the longest and fastest cable car in Asia. There are several hotesl and casinos in Genting, but it was the outdoor theme park that caught our fancy. More on Genting next week — we’re checking out of the hotel tomorrow to head for Cameron Highlands and I still haven’t started packing! Talagang ganyan ang train of thought no? Nice place for family, friends and couples. My favorite ride was the Space Shot. As Malaysia is a humid country, Genting is a nice place to have a thunder blast.